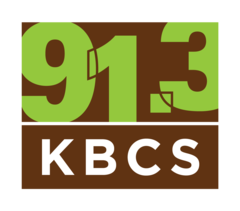 KBCS-FM is a listener supported, non-commercial, community radio station, operated as a public service of Bellevue Community College in Washington State. Our purpose is to entertain, educate and involve a diverse community of listeners with a variety of music, cultural and public affairs programs. Our djs are community volunteers. Our programming takes you on a musical exploration from jazz, blues, and folk to modern global hip hop, electronica, reggae, and dub. We present Democracy Now!, Free Speech Radio News and other cultural and public affairs programs. KBCS is the only station in the Greater Seattle Area that offers ongoing training opportunities. For today’s Unmute the Commute, the story behind the lady passing out apples and oranges on Seattle buses.